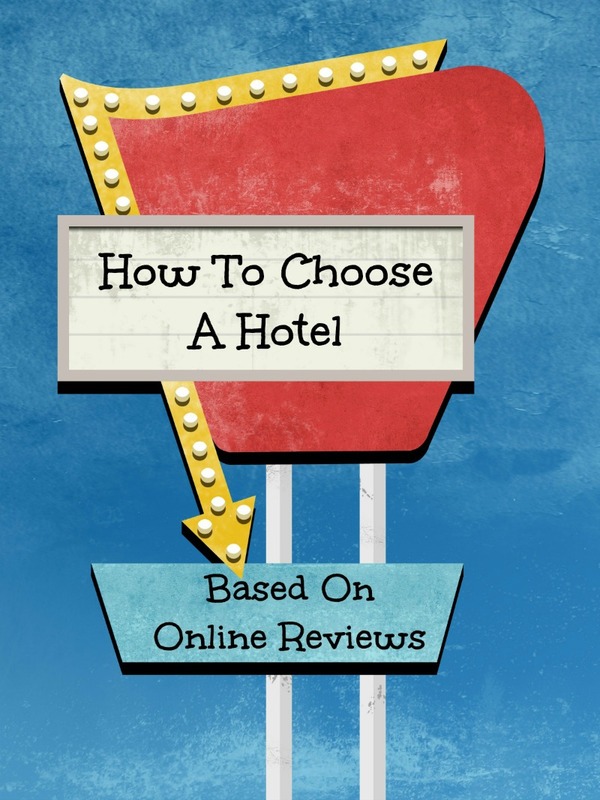 Have you ever shown up at a hotel you booked online and been really disappointed with it? We’ve all had bad hotel or motel experiences in the past that make us leery of staying in the same city, hotel chain or brand. Having traveled a ton over the last several years, we have learned how to choose a hotel based on online reviews. While not everything is fool proof, we find that these simple tricks tend to help us find the better accommodations while on the road. Read The Last 6 Months Of Reviews. When checking out reviews left on various hotel booking websites, it is important to look back not just to the most recent reviews, but several months back. You want to see consistent high rating reviews. If they seem sporadic with more negative than positive over the last few months you will want to skip that location. A lot of people will leave reviews that mention things like décor, age of building, ease of parking or outside noise. If those things aren’t important, but safety and cleanliness are – then you may want to evaluate the reviews you read to take into consideration others choices may not be in line with yours. Any claims of dirt, rodents, roaches or bedbugs within reviews are huge red flags you should avoid. Look For New, Updated Or Remodeled. Some key words that often lead to a nicer and cleaner experience in a hotel are the terms, “new, updated or remodeled”. This shows you the fact that appearance means something to the hotel and it will be well maintained. Watch For Negative Reviews Of Staff. While the item of prime importance is the cleanliness and availability of proper accommodations for you or your family, you must consider how the staff will treat you. A hotel with staff that continuously gets negative reviews shows that you as the customer are not important to them. This could mean your complaints or needs might be ignored by management. If you are planning a stay in a hotel, it is best to do a bit of research before you book your room. Not only will you want to compare location, available accommodations and pricing, but past costumer reviews will help you understand what to expect. Look for what is important to you while keeping in mind that every hotel may have a negative review here and there. Want to win $200 Spending Cash? Giveaway is open Worldwide, age 18+ or with parents permission. Entry period ends on June 1, 2018. Visit Giveaway Terms & Conditions for additional details and rules.